_MAL1181.jpg, originally uploaded by Michael A. Lowry. 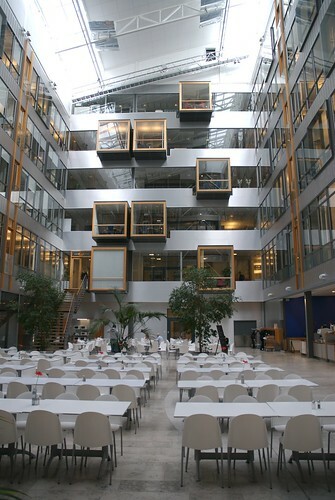 This is the indoor foyer of the the South building of Kista Entré. Now that I've moved to IBM Software Group, I spend most of my workdays in this office complex. IBM's offices occupy two floors of the north building, plus a customer demonstration and briefing center on the ground floor. I haven't eaten at the foyer restaurant yet; my colleagues and I usually walk to the food court at Kista Galleria for lunch.